Are you a new Virtual Assistant? Or are you considering opening a Virtual Assistant business? Or struggling to make yours work? Join us for this half-day workshop for a comprehensive look at this growing industry and learn all you need to build a solid foundation for your business. Through a combination of teaching and hands-on lessons, you will gain a thorough understanding of how all of these pieces need to fit together so you can start your business off successfully. We'll even talk about how to set goals that you can achieve - and why that's such an important skill to have as a business owner. Whether you are brand new or need a better foundation under your business, this workshop is for you. You'll leave with the tools you need to start moving toward the success you deserve! Registration for this workshop includes Lunch with the Speakers and the participants from the Mastermind Workshop. 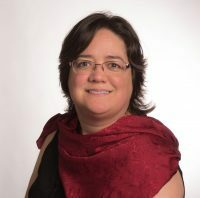 Tracey D’Aviero is a veteran VA, founder of Your VA Mentor, and President of the Global Alliance of Virtual Assistants (GAVA) and the Canadian Association of Virtual Assistants (CAVA). Tracey has operated her own business since 1996 and has shifted gears to focus solely on training and supporting other VAs. Her mission is to educate virtual professionals on how to build and grow successful and profitable VA businesses with a solid foundation, goal setting that works, and accountability and support. Tracey brings valuable experience from a variety of industries and varied service offerings to offer the members of the associations and her coaching clients and students a broad range of insight, information, and direction. Are you struggling to get more done or make something special happen in your VA business? But are STUCK? Trying to get a project off the ground? To get something 'new' happening ion your VA Business? Launching or Improving a New Service? Want to be surrounded by your peers and learn how they overcame their obstacles? This Mastermind Workshop is a place to ignite some spirit into your business and plans. Join us as Facilitator, Kathy Colaiacovo, leads you through a morning of intensive thinking and working to get you unstuck and transforming your business. You will get your special project moving with the guidance and support of Kathy and others Veteran VAs and Leaders in our Industry who will be on hand to offer their expertise and advice. Our plan is that you come to the session with one challenge (and possibly a back-up challenge) that you will present to the group for discussion and in turn you will also be offering advice to your fellow group members on their challenge. At the end of the session, your group will be setting up a date for a follow up telephone call for everyone to check in on their progress. There will be a set agenda, which the facilitator will ensure everyone stays on track and time permitting there may be some time at the end of the day for open discussions. An application will be required at the time of registration, which includes an agreement that all discussions will be held in confidence. If there is interest, IVAA will help you form some mastermind groups and offer online webinar rooms so your group can continue meeting throughout the year. Groups will be formed based on years in business and the challenge they will bring to the table. You are a business owner and that means you are a CEO. But are you acting like a CEO? Whatever you think, you become so. In this session you will learn how to use the power of your mind to change how you run your business by being a leader and not just a doer. Through self-discipline and mastery of thought, you will take your business to the Next Level by being in control of your time, money, and habits. Emphasis will be placed on vision, focus, time management, delegation, and leadership and you will leave thinking and acting like the CEO you are! 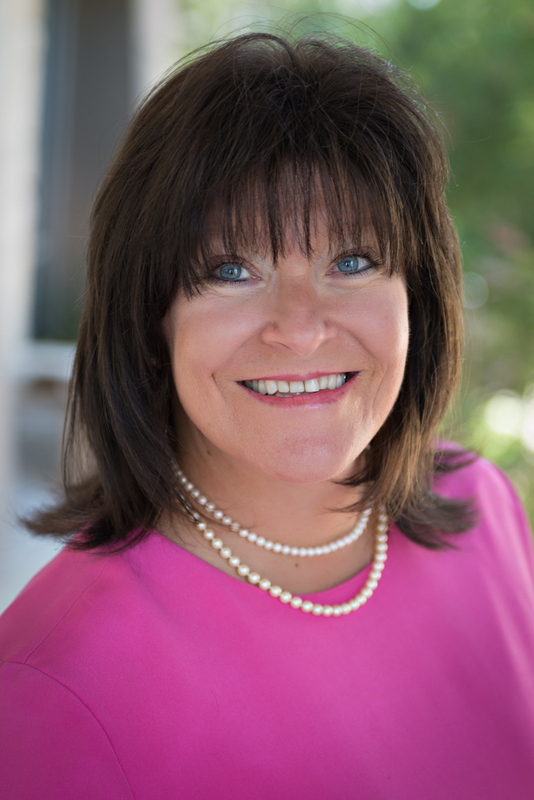 With more than 25 years in business leadership and team development, Linda McLean is a business and life coach who is poised and ready to help any business reach its next level. She thrives on helping others set and achieve their goals and her excitement and energy are contagious! 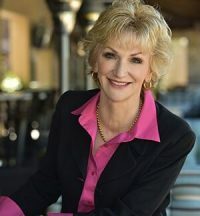 She is the author of numerous books, including the acclaimed international bestseller Next Level Living® - Today's Guide for Tomorrow's Abundant Life. Linda and her team focus on helping individuals and businesses of all sizes—from start-ups to successful leaders and top sales producers—increase productivity and boost revenue growth, seeing her clients realize increases of up to 53% in a single year. Linda's growth-minded, solution-oriented vantage point—she calls it “the view from 10,000 feet”—enables clients to focus on how unlimited their potential really is, and her personalized Next Level system differentiates her from ordinary coaches. Her comprehensive, results-based approach is grounded in action and accountability, and she provides daily tools that drastically increase clients' productivity. She'll redefine your entire approach to achieving goals in all areas of business. Linda is a Distinguished Business Expert for the Proctor Gallagher Institute Matrixx program. 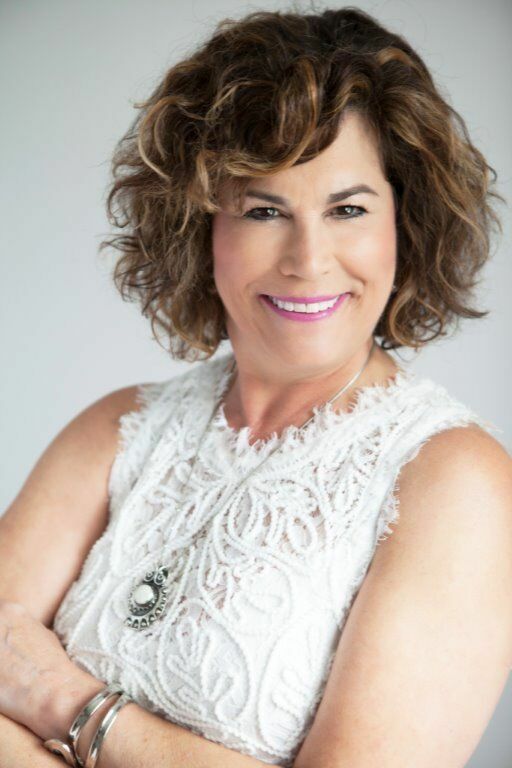 Her professional certifications and affiliations also include: CTA Professional Certified Business & Life Coach; IML Certified Behavioral Consultant; John Maxwell Certified Leadership Trainer; Member of International Coaching Federation; Chamber of Commerce, and eWomen Network. How to stretch from your desk, breathing techniques and quiet your mind. 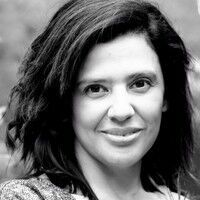 Elysia Valdivia is the owner of eFFICIENT VIRTUAL PARTNERS. With over 20 year's EA experience, she has developed strong Time Management & Stress Reduction programs. At this time, Elysia is a digital nomad, working from Colorado, Hawaii, Texas, Greece, and Puerto Rico, to name a few. Additionally, Elysia formed Living Elysian in 2015 (after a long remission from Gastroparesis) to share with others that a strong Quality of Life can be developed and maintained regardless of physical limitations. In the summer of 2016, Elysia completed her 200-hour Yoga Certification training at an Ashram in Hawaii. Elysia enjoys Yoga anywhere at any time, being out in nature, swimming, and writing. “Time management” may not be exciting. That said, as a professional who literally sells time, it’s essential that you get a handle on this aspect of your work. 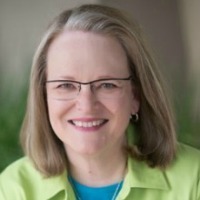 An entrepreneur and business workflow expert, Belinda Wasser has spent 25 years helping small businesses make more money, more efficiently and with less stress. As the Founder of The VA Connection, she trains and mentors virtual assistants in the growth and development of their own businesses. 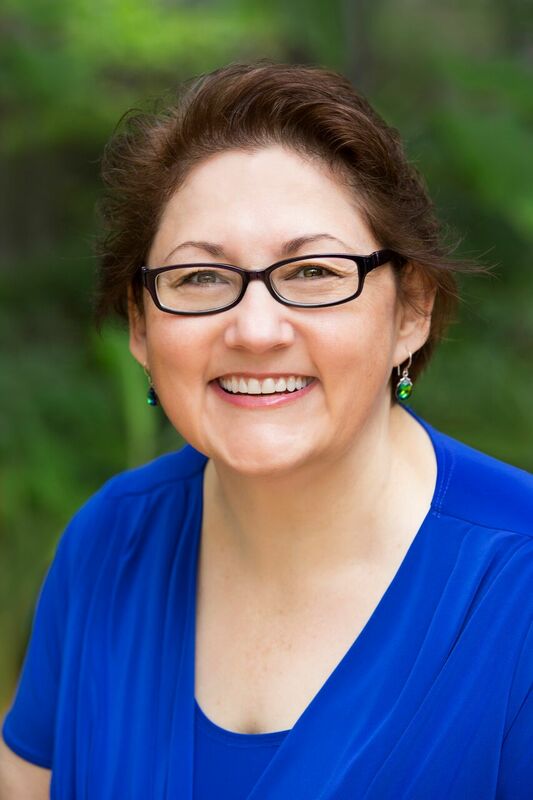 Belinda’s past and current work includes improving the scale and flow of internal systems, human resources administration, facilities management, IT infrastructure, and back-end office processes. She has worked with a range of high-profile companies, including Digitas, EDS, and The Center for Quality of Management. Belinda has been quoted in The Wall Street Journal, The New York Times, Reader’s Digest and other national and local media and has a BA from the University of Virginia. She lives in New Canaan, CT with her daughter, Emily, her extremely significant other, Greg, and spends her free time gardening, playing paddle tennis, and learning how to cook. What's missing in your website? Well, if you are missing these 10 elements, you are probably missing new leads and prospects. People who could be your next client. Websites are used by more people than you realize and you need to ensure these critical elements are on your website so that people understand what you have to offer and how you can help them. Join us as one of the leaders in the Virtual Assistance Industry, and Marketing Strategist, Kathy Colaiacovo shares what to have on your website so it helps, not hinders you. You can share these lessons and ideas with your clients to help them with their website presence and you will be seen as a “value-added” VA.
Kathy is the President of Pepper It Marketing Services, Inc. and has been helping service-based business owners all over the world build and grow their businesses online since 2008. Her clients work with Kathy and her team to get the expertise and straight talk needed with their marketing and it all starts with your foundations – your website being the main element. Your website is the base of all you do online as a VA, Kathy will share her expertise on what you need to have on, and in, your website to achieve results like she has seen. Do you struggle with getting clients? Either you are not getting enough sales conversations, or what you are saying on those calls is not the right thing. Love it or hate it, VIDEO is here to stay and if you want your business to survive, you'll have to adapt and include video as a component of your marketing plan. Video, and in particular, YouTube (with almost a billion users, equates to approximately one-third of internet users) has become a vital artery to business owners. This presentation is designed for VAs interested in learning how to use video to market their business, the best type of videos to make, ways to create them, and the various video platforms available. VAs wishing to offer advice to their clients, or even offer video marketing as a service to their clients, will gain valuable information from this presentation to grow their business – either to market themselves and/or add a new revenue stream. 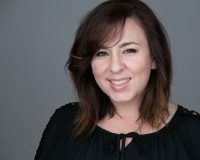 Edie Clarke is a Video and YouTube Strategist with over 10 years of video editing and video marketing experience. She fell in love with video and television when she was in high school — whether it was the art of storytelling or the creativity it brought out in her, she’s been hooked ever since. Edie works with and helps entrepreneurs, YOU increase your presence, grow your email list, engage with your audience, and create brand awareness for your business using videos and YouTube! Learn what it is really like to work with authors and speakers (SPOILER ALERT: It's super cool!) and how you can begin working with this exciting niche. Janica and Michelle both have successful businesses working with authors and speakers. Between the two of them they have almost 20 years of experience, have helped establish over 75 independent publishing companies, and helped publish over 100 books. They are also co-owners of InstructionSmith providing training and certification programs for Professional Author and Speaker Assistants. They are passionate advocates for the profession and love nothing more than to help other VAs find similar success working with authors and speakers. Hire Your Best Team Yet: Want to grow your VA business? If you’d like to grow your virtual assistant business by developing a great team, it doesn’t have to be hard! With a simple set of tools and practices, you can have the team and business you desire. This session will help participants learn to implement a simple process that helps virtual assistant business owners source, hire, develop, and retain quality assistants for their businesses. Leaders looking for a quick fix or the next “trade secret” need not attend. In this value-packed workshop, attendees will learn to see their businesses in a whole new light. The outcome creates alignment and synchronizes all the pieces of hiring and retention for your business to produce the results you want. Jenna’s life has been anything but traditional. Spending most of her adult life submerged in the corporate world, Jenna finally took a leap of faith in 2014, leaving the corporate world behind and jumping straight into entrepreneurship. For the first time in her life, that leap of faith felt like the most natural thing she had ever done. It all began with a leap of faith…the rest is history! Jenna landed in Greenville, SC, with her husband and three children in 2002, where they now strive to live life through their five senses. SESSION 9 ♦ Barbie Dallmann ♦ What's Next? Where is your VA Business taking you? Where will you be in 1, 5, or 10 years? Do you have a plan for retirement? Will you eventually sell your VA business? If these are questions you have been avoiding, you need to stop. You cannot plan for the future of your business, by hiding from it now. Short- and long-term planning relies heavily on clear goals and sound financial management. These help you make plans for next year, for the next 5 years and even for the final business step, retirement. Yes, we are talking about money – but the fact is you need money to live and you cannot avoid talking about it, not if you want to be doing more than running your VA business just to pay the bills. Life Coach Barbie Dallmann, a former VA and Bookkeeper, who sold her VA business and now lives the life of her dreams, is sharing valuable lessons to help you discover and plan What’s Next. Lessons many VAs wish they had known when they started in business. Understand the basics of your finances to help you see the big picture. Learn how your financial statements can be used for business planning and decision making. Discover the strategies you must consider to be a successful business owner. Know the factors to incorporate into your plans to sell, close or retire for your business. Make plans for the future, no matter where you are now. 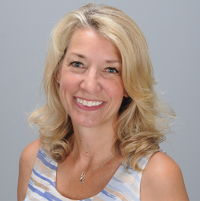 Barbie Dallmann is a 34-year veteran of the VA industry and the founder of Barefoot Coaching. She has 13 years’ experience as a certified Integrative Life Coach. 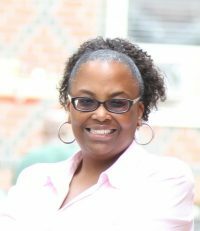 After selling the bookkeeping/payroll portion of her VA business, she now uses her skills to guide clients in planning and creating more productive, fulfilling lives. Barbie chose Integrative Coaching because it embraces a holistic approach, integrating mind, body, and spirit in the process of creating a truly extraordinary life. Her own coach training experience led to a personal transformation, from successful workaholic perfectionist to a more purpose-driven, balanced life, filled with prosperity, self-compassion, meaningful connection, fun, and joy. 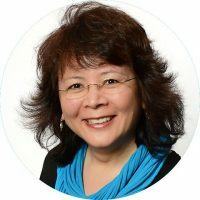 Barbie blends business sense, bookkeeping expertise, and 34 years of VA experience with proven life coaching techniques, to offer a unique, informative session that will help you determine what’s next for you. This is your chance to take a giant leap forward and know what’s next for you from someone who has been in your shoes as a VA. 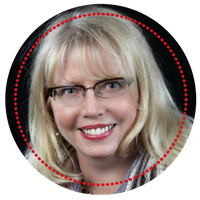 SESSION 10 ♦ Liz Scott ♦ Rapid Results Marketing on A Shoestring Budget! Some organizations are thriving, but others may want to grow their client base to the next level and are simply doing the wrong things to get the best possible results for their marketing dollars. With so much noise in the marketplace, it is more important than ever to create effective and impactful marketing strategies that have a great return on investment. Figuring out how to do this is the tricky part and that’s where this session will really help you get focused, creative, and ready to implement proven, topical ways of attracting and retaining clients. The top marketing mistakes that are preventing your business from getting to the next level of growth—regardless of whether you are just getting started or have been in business for a while now. Learn a quick and painless way to create a 90-day marketing plan that will act as your GPS to ensure that you stay on track with a cost-effective marketing strategy quarter after quarter. Walk out with your plan in hand. It takes a lot of time and effort to land a new client, right? Are you doing everything you can, though, to retain that client long-term? Having happy clients will keep your VA business around longer; we all need more of these type of clients to help us succeed! Once you have a client, the follow-up you do with them after they hire you is the key to keeping them long term. And this is NOT the work they hired you to do—it is how you treat them and communicate AS you work with them. Your client onboarding and follow up systems will be the determining factor in having happy, long-term clients. Sharon Benson started her VA career in 2002 and has worked with some amazing 6- and 7-figure entrepreneurs. In 2010/11, she became a Certified OBM and Infusionsoft Certified Partner. Sharon and her expert team work with clients on their online marketing strategy and implementation. Her clients love the fact that Sharon and her team can do it all! Sharon has a passion for training and focuses on VAs up leveling their businesses with Infusionsoft and Online Business Manager training. As a Certified OBM Trainer, Sharon is thrilled to be able to pass on her experiences and knowledge to newer VAs. You can find her here: www.VAGraduateSchool.com and www.SharonBroughtonTeam.com. Not sure what you need to run your virtual assistant business like a pro? Automation is the key. There are software programs, apps, and tools that will help streamline your business so you don't have to spend more time doing everything manually. You can focus more on keeping your clients happy and referring more clients your way. 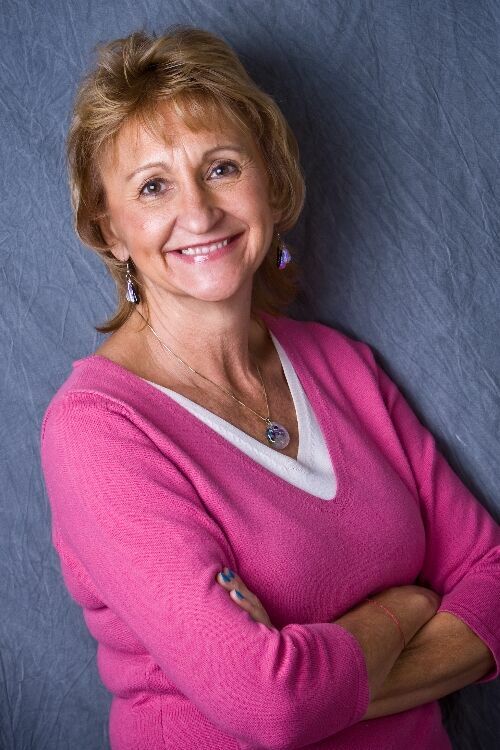 Mimi Klosterman is a Certified Online Business Manager and the owner of Your Virtual Services. She specializes in optimizing her clients' business systems in the areas of operations, marketing, sales, metrics, and team management. Her goal is to have their businesses operating at the highest level of efficiency and productivity. When starting out as a virtual assistant, Mimi served several terms on the IVAA Board of Directors and has been a member for almost 10 years. She enjoys meeting new virtual assistants and continues to help IVAA where needed. Besides working online, Mimi now homeschools four of her eight children and volunteers for the Civil Air Patrol to train cadets to be future leaders in their community, state, and nation. Take what you have Learned and Create your Action Plan for returning home. This session is critical if you want to head home from the Summit with a Plan of Action and Steps to Implement for the items on your list. Most people are overwhelmed upon return from a conference. This is your time to put some of the ideas generated from the Summit into do-able steps with a list of action items to implement. We will have leaders from the IVAA Board of Directors as well as some of our speakers here to help you move some of the Ideas in Your Head into Action Steps. We will also help you create some accountability groups so you can be part of a group of people to keep you moving forward all year. QUESTIONS ABOUT THE SUMMIT OR THE WORKSHOPS?